The Variegated Fairy-wren is the most widespread of the fairy-wrens, occurring over most of Australia. There are four supspecies, with the birds present in Sydney being of the race lamberti. The male is brightly coloured with an irredescent blue head and deep chestnut band around the back. 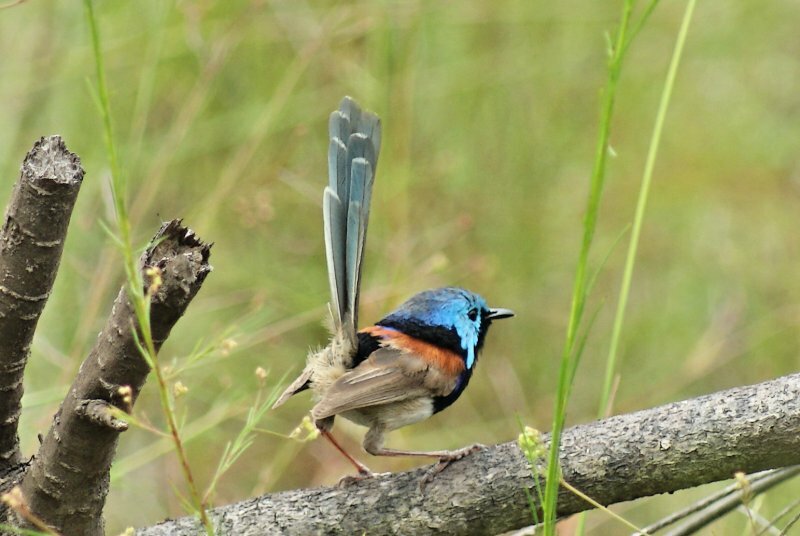 Females are similar to that of the Superb Fairy-wren, except that they have a blue tail (however females of ssp. dulcis and rogersi are blue-grey in colour). As with other fairy-wrens, they form small groups with a breeding pair and several immature or non-breeding birds that help to raise the brood. The courtship display involves the male attracting the female with yellow flower petals. 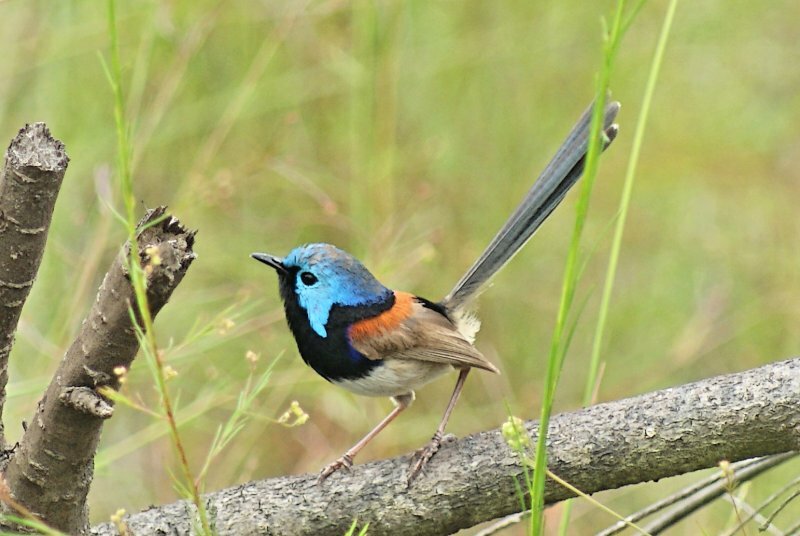 As with other fairy-wrens, they are small (12-14 cm) and highly active birds. 1-2: Mt Ku-ring-gai Track, Mt Ku-ring-gai Chase NP, NSW, 15/01/2011.